Tickets on sale Monday, October 15 2018 at 10:00am. Thane Dunn Presents Elvis The Comeback King! 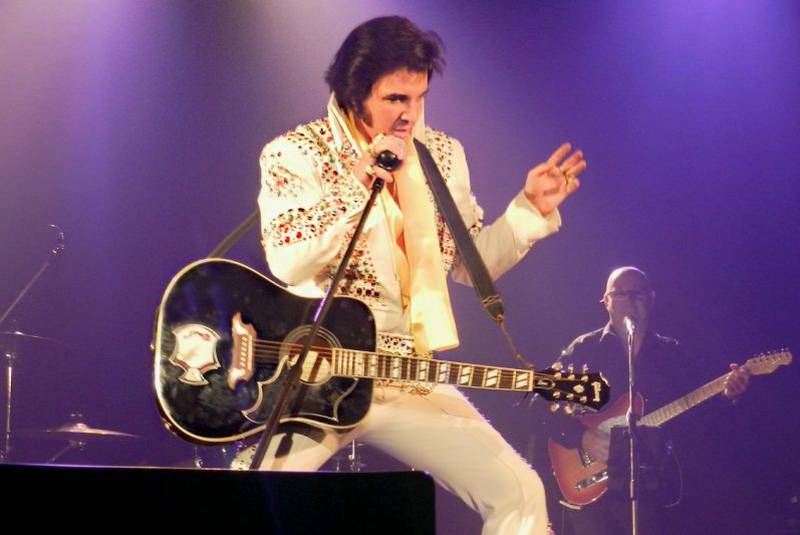 Saturday September 14, join International World Champion Thane Dunn and his Cadillac Kings as they recreate Elvis Presley’s now historic 1968 Comeback Special. After years of making movies and out of the public eye, Elvis set out to show the World that he was still at the top of his game. Elvis black clad in leather was like a caged panther as he performed all of his original songs with a raw over the top performance which is now part of Rock and Roll history. This show covers all the bases and Dunn definitely has mastered the raspy quality of Presley’s voice in 1968. Hear him do everything from “Hound Dog”, to “Mystery Train/Tiger man”, to “Blue Suede Shoes” and to the monumental powerhouse song “If I Can Dream”, plus many more. Thane Dunn has the uncanny ability to transport his audience back in time. His portrayal of Elvis is eerily authentic and he is actually endorsed by several people who worked and performed with the real Elvis. All of his stage attire is made from the exact patterns used by Presley and his black leather suit is a carbon copy of the original. His new “If I Can Dream” suit will blow your mind. “Thane Dunn is the closest thing I’ve ever seen to Elvis and if you never saw Elvis you need to see Thane Dunn” – Bill Baize of the Stamps Quartet performed with Elvis from 1971-1976. This is his only Moncton show of the year. If you love Elvis and having fun, this is a must see show for the entire family.